I had a change in plans today and headed to the Natural State, Arkansas. Greg’s dad lives in Decatur and Greg had not been able to reach him by phone. Being that his dad is 93 years old and only has a land line, that was cause for concern. Thankfully, the phone line was malfunctioning and a call to the phone company resulted in the eventual correction of that problem. Greg and I were able to spend time with his dad, who wasn’t feeling well. Or as he put it, “Sometimes I think I’m getting old, and sometimes I know I am. Today, I feel old!” After a long and full life, he is feeling weary, at a very deep level. I’m surrounding him with love and light and gentle energy. After leaving Decatur, I went in search of a first for the day! 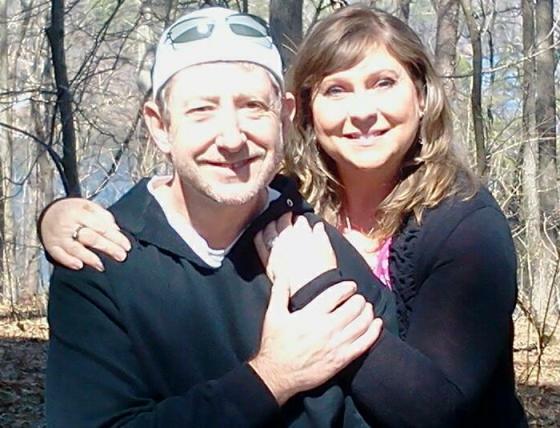 Greg’s cousin, Pam, and her husband, Jay, now live in Bella Vista, AR. I had not seen Pam for at least 13 years! And I had not met her husband. 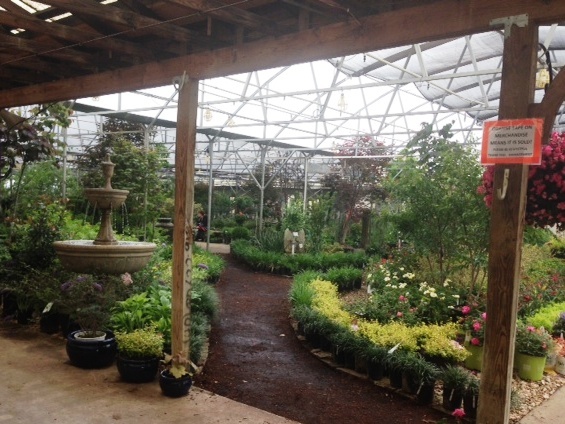 So while cruising toward Bella Vista, waiting for Pam to become available to meet, I spied with my little eyes….a garden center in Bentonville! Some people can’t pass up a shoe store or drive past a Starbucks without stopping. For me, especially this time of year, this is true for garden centers. 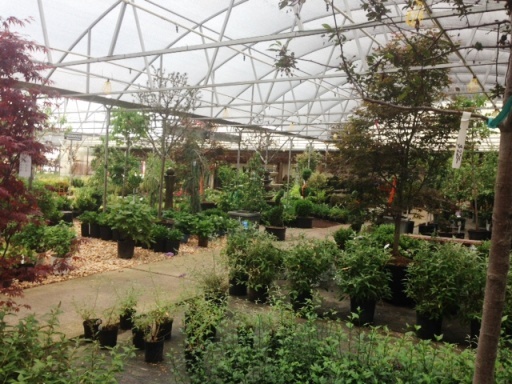 Bogle’s Garden City, located at 2105 S Walton Blvd in Bentonville, AR, was so fun to explore! With its attached greenhouses, it is much larger than it looks from the outside. I was searching for ornamental grasses, but I enjoyed wandering up and down the aisles and strolling down the pathways, looking at everything. I was impressed with the selection of plants, trees, shrubs and flowers, and I found the varieties of grasses that I was looking for! I want to spend time in Joplin this week, checking out our local garden centers, however, it was great to discover Bogle’s Garden City and know it is only a short distance away. Pam and Jay live in a lovely town right on the Arkansas/Missouri state line. It was great to see Pam again and meet Jay! We toured their beautiful home and stood on the back deck, as thunder rumbled overhead and the first fat raindrops began to fall, and discussed gardening and transforming backyards into sanctuaries. We left the house to visit the Mildred Cooper Memorial Chapel, but en route, the gentle rain became a torrential downpour, accompanied by lightning, thunder and briefly, small diameter hail. We scratched that first for today, and regrouped at Las Fajitas, a Mexican Grill, located at 42 Sugar Creek Center in Bella Vista. Another first, as this was a new restaurant for me. We shared a great dinner and lively conversation as we caught up on each other’s lives and families and as I got to know Jay. I first met Pam and her sister and brothers years and years ago, when Greg and I were dating. Greg’s dad and Pam’s dad are brothers and the whole extended family used to gather for Christmas or a summer meal at Grandpa and Grandma Moore’s house on the creek in Noel, MO. We laughed over old stories and shared new ones. I always enjoyed being around Pam and her siblings and parents and I admired their obvious closeness as a family. It is amazing that we all have grown or nearly grown children and precious grandchildren now! Sitting there chatting over a cozy meal, it didn’t seem possible that so many years had passed. I don’t intend to let much time pass before getting together again. There are flea markets to explore in Bella Vista and the beautiful chapel to see. I’m learning not to be concerned about finding firsts, but to relax into the experience, trusting that as my daily journey is unfolding, the first will be there, or as today proved, the firsts! Let the adventure continue….